Lebanon woke up tense on Monday following an Israeli air strike that targeted and killed six Hezbollah members in Syria’s south, Al Jazeera reported. Now the question on everyone’s lips is when and how Hezbollah will respond. Analysts said the targeted assassination of several high-level Hezbollah fighters in Quneitra is considered a game changer in the ongoing war between Hezbollah and Israel. “The attack against six Hezbollah members will have a painful and unexpected response, but it can be assumed that it will be controlled to prevent an all-out war,” the sources told the Lebanese As-Safir Arabic political daily on Monday. “Israelis don’t want Lebanon to relax,” he said. Lebanon’s al-Manar TV said later in the day that Tel Aviv is “playing with fire that puts the security of the whole Middle East on edge. Al-Zoubi said the airstrikes proved that the Tel Aviv regime was cooperating with terrorist groups, including the al-Qaeda-linked al-Nusra Front. 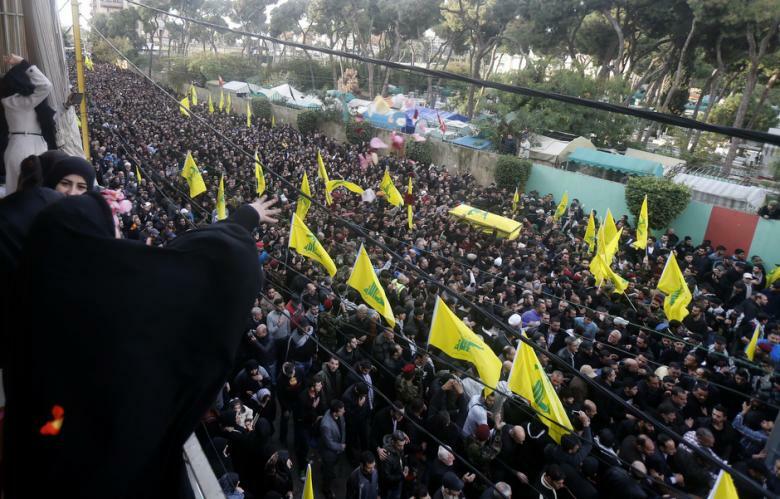 Iran’s Foreign Ministry has strongly condemned the killing of six fighters of Lebanese resistance movement Hezbollah by Israel, Press TV reported. The Israeli military has so far declined to comment on the attack. Analysts believe the new Israeli assault is yet another attempt by Tel Aviv to change the balance of war in favor of the militants fighting against the Syrian government. Damascus says Tel Aviv and its Western allies are aiding the extremist terrorist groups operating inside Syria since March 2011. The Syrian army has repeatedly seized huge quantities of Israeli-made weapons and advanced military equipment from the foreign-backed militants inside the Syria. Iran’s Islamic Revolution Guards Corps (IRGC) confirms the killing of one of its generals in an Israeli airstrike on the occupied Golan Heights in Syria that also killed six members of the Lebanese resistance movement, Hezbollah. This entry was posted in Jafria and tagged General, Hezbollah, iran, irgc, Islamic Revolutionary Gaurds Corps, israel, Israeli Airstrike, lebonan, Syria. Bookmark the permalink. WHAT PREVENTS THEM TO HIT BACK WITH A STRONGER FORCE .